Sports reporter Joshua Gordon can be reached at joshgordon@craigd... or 875-1795. General assignment reporter Scott Schlaufman can be reached at sschlaufman@craig... or 875-1792. The Craig Daily Press welcomed two new staff members to its newsroom Monday. Josh Gordon and Scott Schlaufman, both 22, are the newspaper’s new sports reporter and general assignment reporter, respectively. 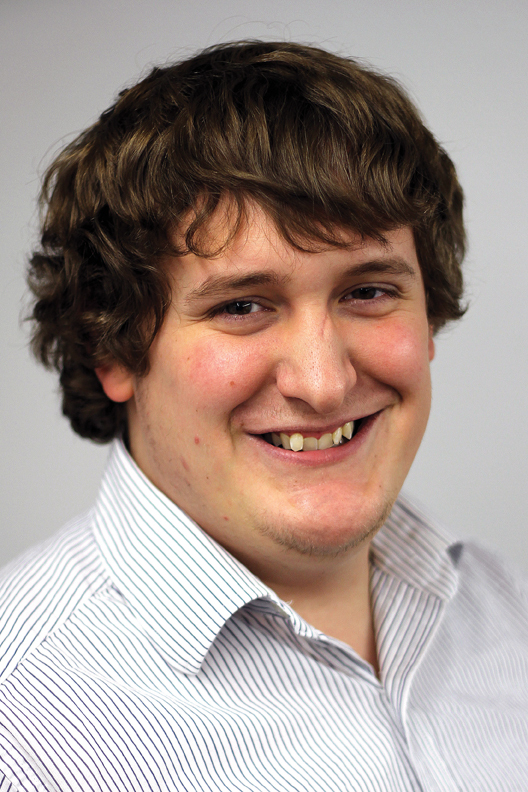 Editor Joshua Roberts said the two newcomers bring a diverse set of skills to the Daily Press. “They were our first picks all along,” Roberts said. “Our search to fill the two positions basically started and stopped with Josh and Scott. “We got to know Josh during the summer, when he worked for us as an intern, and he did a great job. He’s a big sports fan and a talented guy. When the sports position opened up, we knew who we wanted. Both new reporters graduated this month. Gordon earned his bachelor’s degree in journalism with a concentration in news and editorial from Central Michigan University in Mount Pleasant, Mich.
Schlaufman earned his bachelor’s in mass communications with an emphasis in print and broadcast journalism from Mesa State College in Grand Junction. He also worked as an intern at the Boulder Camera and handled freelance assignments for the Grand Junction Daily Sentinel. Gordon will be responsible for covering area sports teams, games and events. He replaces Andy Bockelman, who worked as interim sports reporter since September. As the general assignment reporter, Schlaufman will be responsible for covering a variety of news stories and features. He’ll also handle police and court coverage, and the local fire department. Gordon and Schlaufman both said they’re excited for the opportunity to live and work in Craig and Moffat County.